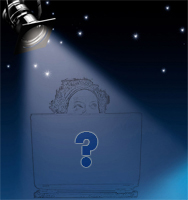 Earlier this week someone emailed in asking how to “get in the Author Spotlight?” So this week’s Author Spotlight is actually on some things we look for when choosing an author to “put the Spotlight on”. Recent Activity – Has the author been active in the last day, week or month. Generally, the squeaky wheel gets the grease and an author that is actively submitting articles will usually have a better chance of being in the Spotlight than a dormant one. Membership Level – While it may happen from time to time and we will Spotlight a Basic Level Author, we usually choose Platinum Level Authors for the Spotlight. Use of Author Bio, Extended Bio & Author Photo – We like to get to know our authors and an author which utilizes all the features of the Extended Author Bio makes that easier for us. It also makes it easier to Spotlight that author as there is more info to share. Article Submission Quality & Form – If the article content is great AND the formatting which the article is submitted is stellar, chances are you may be in the Spotlight. Two reasons really: 1) Great content helps everyone & 2) Perfect formatting allows our Editors to approve articles quicker. Interesting Author Photos – Remember the game show “Let’s Make A Deal” where people in the audience would dress up to have a better chance of being picked as a contestant? Well, an interesting or unique author photo never hurts to get our attention. Forum, Article or Blog Comment Activity – If an author is showing interest in what we are doing, we’re likely to show an interest in what they are doing. “Because of Ezine Articles, this happened…” Spotlights – If an article of yours was picked up from EzineArticles.com that resulted in major media exposure, big sales or something else great let us know so we can share it with other authors in an Author Spotlight. RELATED NOTE: The Author Spotlight section of the EzineArticles.com blog is not to be confused with the “Author Spotlight” on the home page. The blog spotlights are hand-picked and we invest 20-50 minutes to produce the column vs. the home page where every EzineArticles expert author who has a valid author photo and author bio uploaded will become eligible for being included in the home page rotating automatic author spotlight. Do you work from a list of candidates or just go with intuition when it’s time for a spotlight post. If you work from a list, what is the typical number of names on it? Have you any tips for Authors with a block? I got to 97 articles and seem to have come to a hold for now. I still think you should have an article shuffling service, where old articles get a chance to be seen again. Overwise they just disappear into the database. I noticed that some of the authors have thousands of articles. Obviously, this is not possible to do by one single person. So do these authours use ghost writers, or those new articles script programs that will create thousands of articles at once. I did receive an email from a marketing list I am on, and they said their article software is so good at creating articles from the internet that it passed even your inspection. would you recommend using this type of software? George, I have some ideas if you are interested? Actually, they don’t get lost in the database and I think you may be falsely assuming that the majority of our traffic comes from people browsing our site. Our stats show that how deep you are in the database is near meaningless as to how much traffic your article gets. Our system is designed to reward those who post new articles frequently. If you submit new articles often, you’ll ride the traffic wave and get a more competitive market advantage (just ask anyone who posts on a frequent basis year round). Huh? Actually, many authors have written thousands of articles all by themselves. In the last 15 years, I’ve written at least 2000 articles myself and I know it’s possible as other authors have done it also. Pssst: The author who sent you that email about us approving his auto generated article has been banned earlier this week. See for yourself. We will actively oppose and reject any author who submits auto-generated article vomit. It’s the fastest way to lose your account or worse, become banned. It’s a very small planet and with over 150k visitors coming to our site daily reporting or tattling on others who brag about getting past our human article approval editors… it’s only a matter of time before the majority of offenders are purged from the system. HUH? OK, over 15 years yes, I can understand that. So I see that one cannot attain that high standing until one has put in an equal amount of time. That makes sense. It will be a long process at 1 good article a day, or perhaps 2. I am very happy to hear about the automated articles and that they are not acceptable. I feel so helpless in the wake of these new systems that sometimes my 1 or 2 articles a day seem so terrible useless. Here I was working hard to put out 1 – 2 articles a day, and like I mentioned, I get this email that told me they can submit hundreds to thousands in a day. I thought o no, i am so small a drop in this business that I will never make a difference. Glad to hear your response… I feel excited to get back and write now. Ruth. I wrote 1111 articles in I think it was June alone. I consitently write 400-600 per month and am already up 240 on the month this month and it is only the 6th of the month. I do not use software to do this, and I do most all the articles off the top of my head, so if someone were to simply think and observe what they see and be actively involved in thier lives they could do the same thing too. People are generally lazy. And I have been accused of not having the best or perfect-est articles, but I am not a writer or an editor and so if I can do this anyone can. I bet I hit 1000 articles this month and top 10,000 by end of October. If you’ll produce 1, sometimes 2 articles, every day, that would put you ahead of everyone else in a very short period of time. In fact, I think it’s awesome if you can crank out 1 per day. Less than 14% of our members ever produce more than 10 articles …EVER. In a year’s time, you’ll have 200+ articles in your “article inventory” and you’ll begin to see the traffic results from your continual consistent efforts. You are right to think you’ll need volume to make a splash in 2006, but it would be false to assume those who are using the automated article vomit creators are not going to win this race over the long haul because they will not. The long-term is forged and deserved by those who produce quality original article content that is exclusive to their author name (meaning, it’s not PLR content). It’s an illusion if anyone thinks they can win long-term with auto-generated article content. As far as writing articles go, there are really two issues: quantity of articles vs. number of hits to articles. As of this post, I’ve written over 200 articles but there’s one article that’s pulled extremely well over most of my other articles. That’s because I tried to get indexed in Google by picking certain keywords. I was lucky that they placed me in the top 10 of search results. So it’s not really the mass quantity of articles you write. It’s how many people searching for your articles actually see them. And this happens mostly through Google. I noticed that Ruth’s focus in on the diet industry? If so, there’s a lot of competition for keywords here. Still, there’s room to establish a niche of your own. Wow, that’s a great goal. My goal is just a couple of articles per week. Some weeks I hit more than a couple, but most weeks I only hit a few articles that I can submit. My thoughts are that in a year I’ll have over 100 articles if I can consistantly keep at 2 per week. I don’t know what the “average” reader does, but multiple times when I’ve searched google, the top couple of sites are actually articles here on EzineArticles.com I read the article and then click to see what else the author has written. I’ve also had emails from ezine publishers telling me they’ve used one of my articles and they found it searching for titles that appealed to them in a certain category. So, keep writing one per day….you’ll be amazed at the results. Thanks everyone. You re-affirmed what I thought all along. Sometimes it’s hard even for us adults not to get sucked in with peer pressure. When they said you accepted their articles, my heart flip flopped and I though it was useless to continue. But, tonight I am happy again :) EzineArticles outsmarted the vomit machines!!! I have isolated about 30 keywords for my pet and health articles. I am using them now throughout my blogs and my sites. And now, in my articles. I never isolated them before, so this will help. Ruth, I love pets, but I also want to find ways to entertain my dogs when I am away, so I was thinking the other day about an Automatic Frisbee Thrower and wrote these articles. Be creative, have fun and capture the imagination of the reader. This is one of the best ways to have people read your articles and then take your key words and be sure to use them in your articles. I have read some of Ruth’s articles, they are very good and informative, these are examples of excellent articles that she writes. I like them. Thanks for your input, I appreciate that. And yes, you give good advice when you say keep it interesting. We don’t want to just rattle off data and facts. The human touch with a sense of humour will go a long way. I mean, I know exactly where you are coming from, I have 3 dogs of my own. I even not an author yet, find EzineArticles to be a very helpfull tool for people on a quest. If there was just some way we could tell the rest of the world what a resource this directory has become!